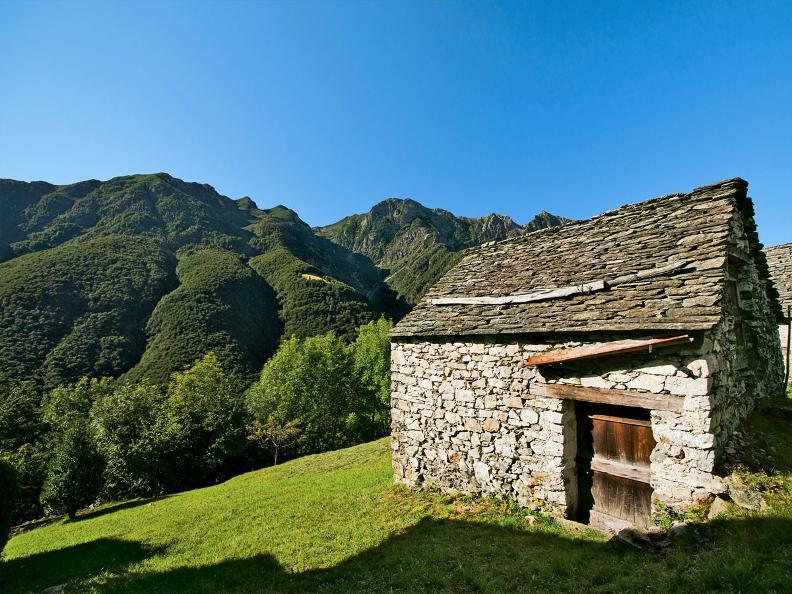 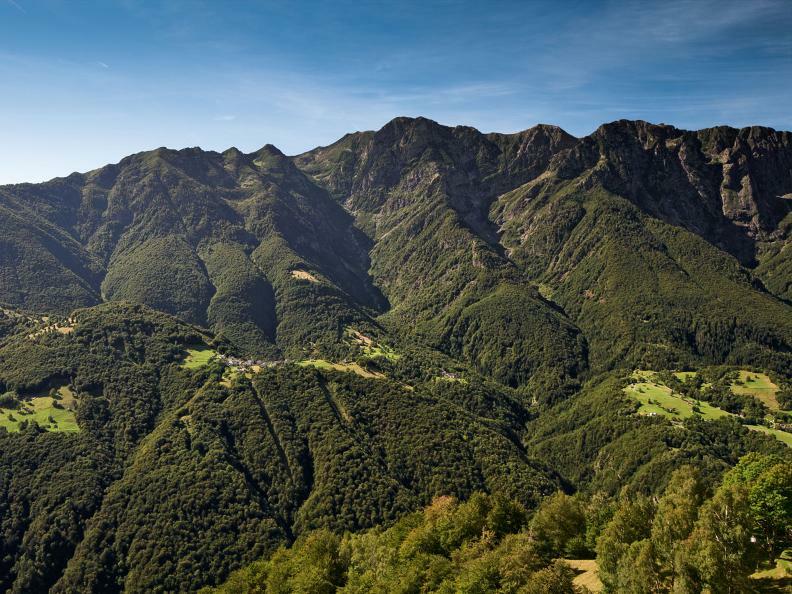 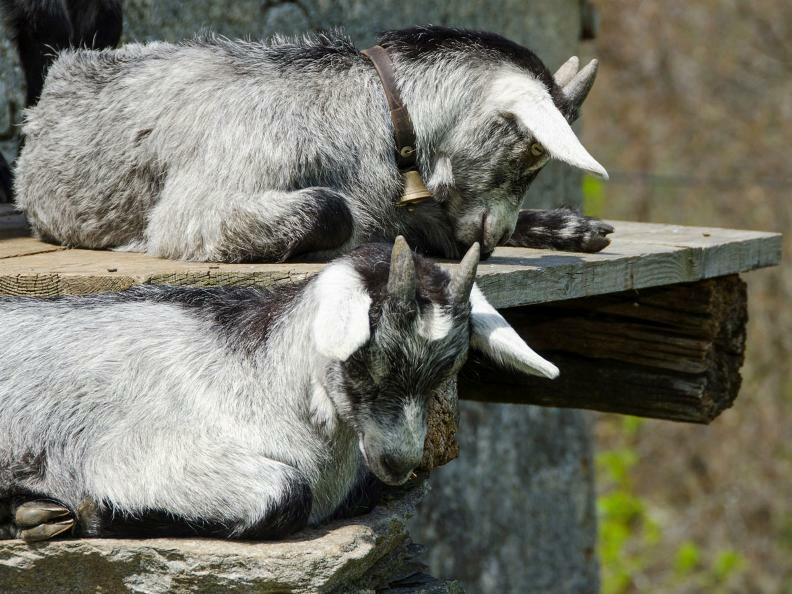 Rasa is a picturesque 16th century village, located at 898 meters above sea level on a magnificent natural terrace surrounded by extensive pastures and dense woods - a true gem, reachable only on foot or by suspended cable car from Verdasio. 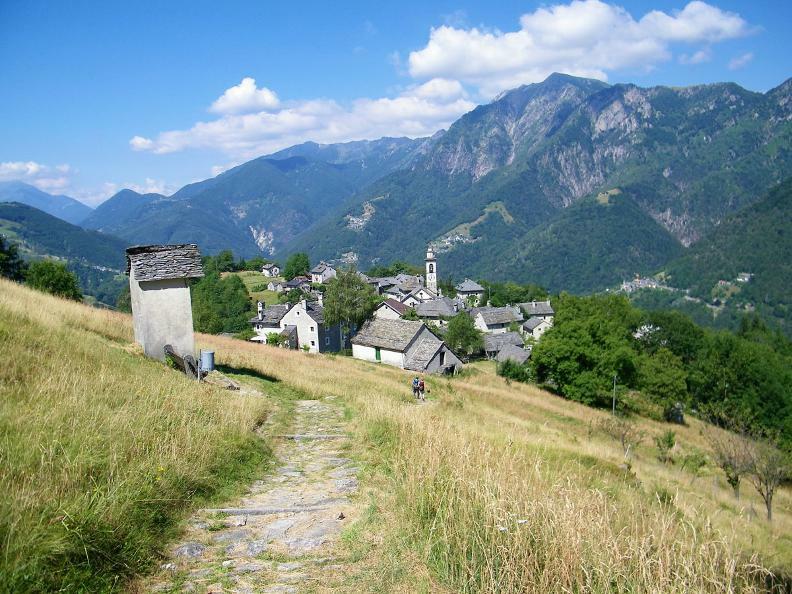 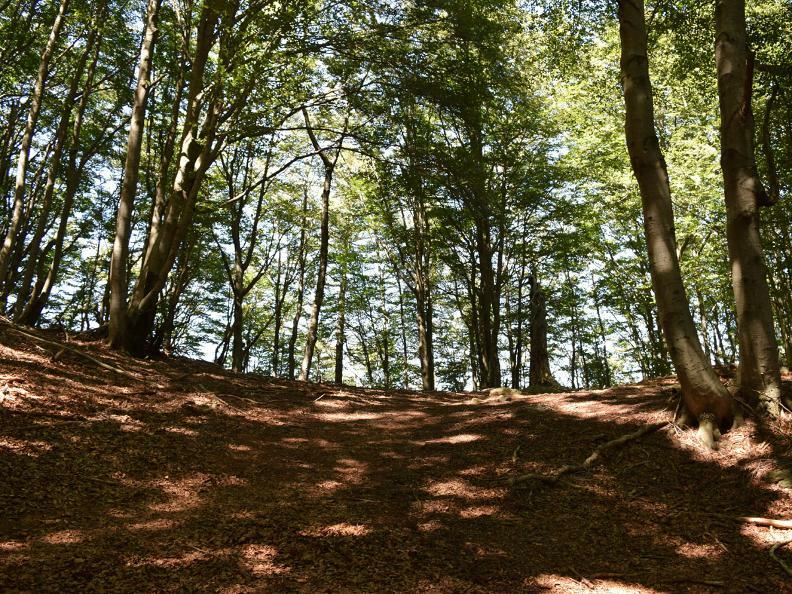 This mountain hike commences with a gentle climb over the neighbouring Monti hamlet and on to Termine. 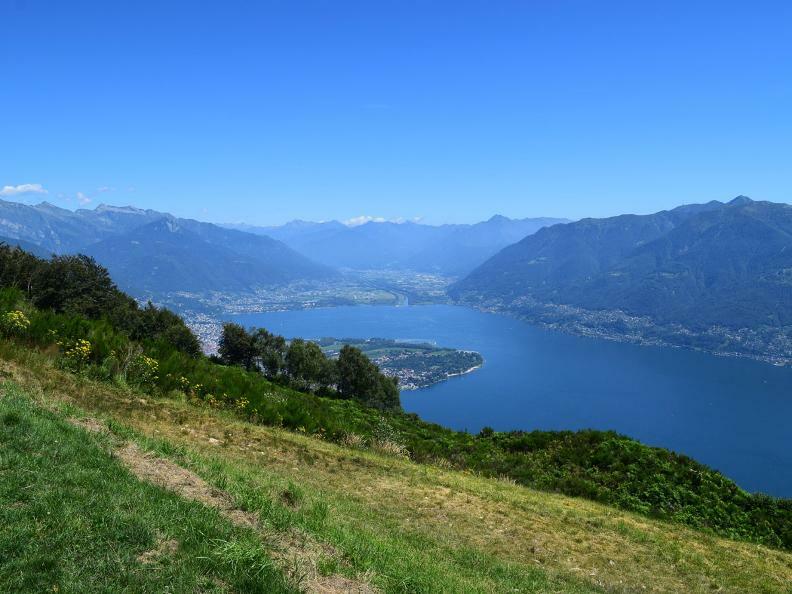 From here, following the signs for Pizzo Leone, the route continues with a rather steep climb. 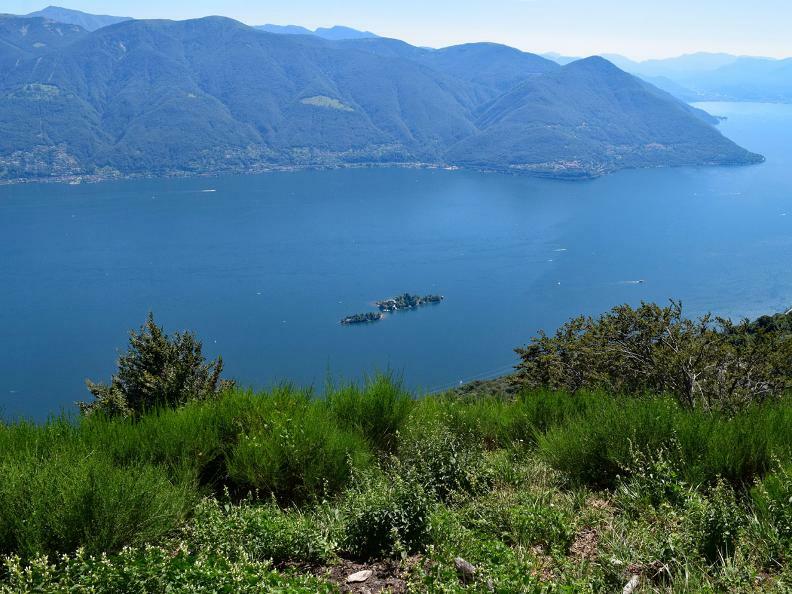 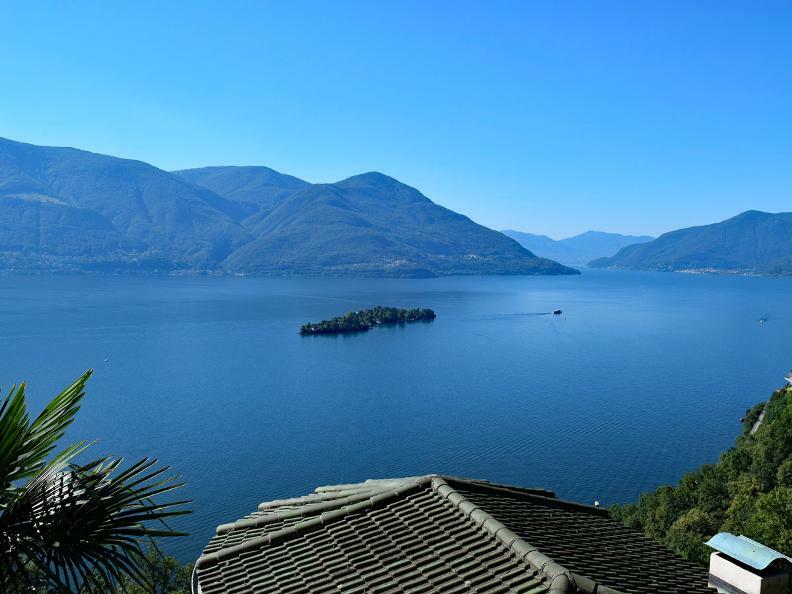 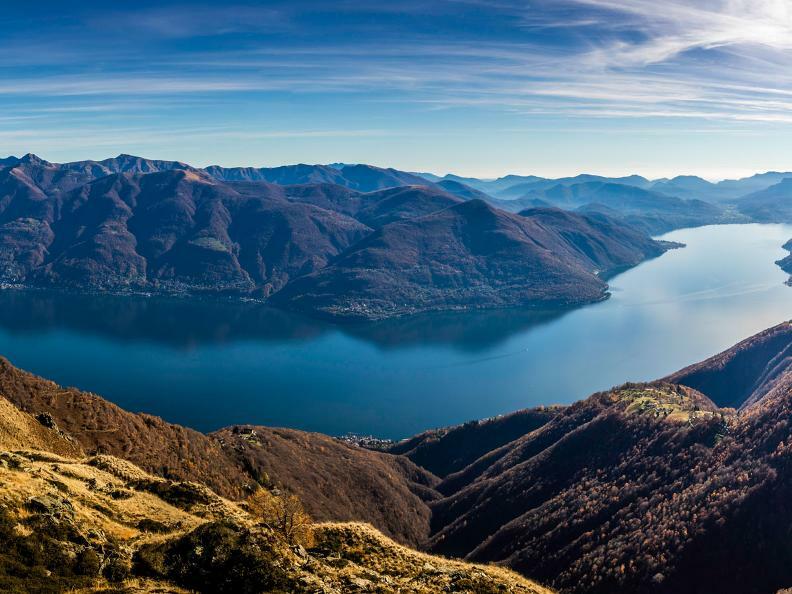 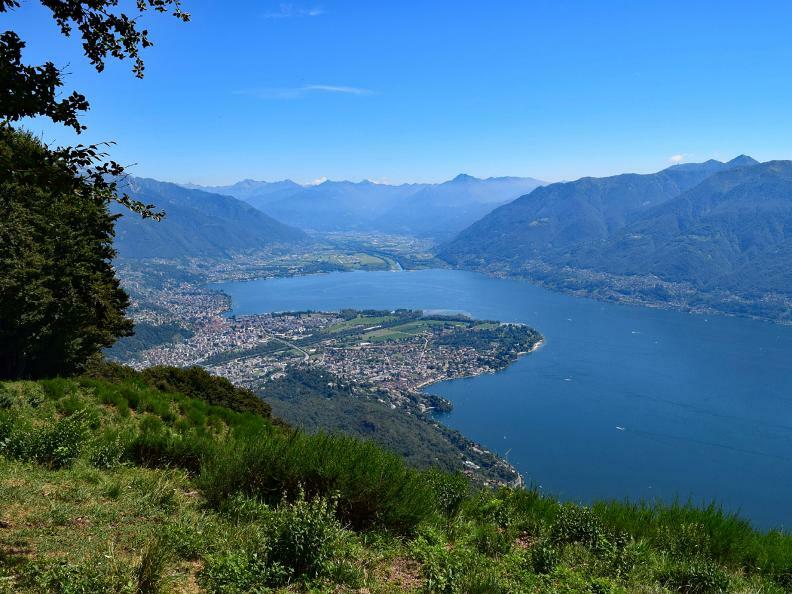 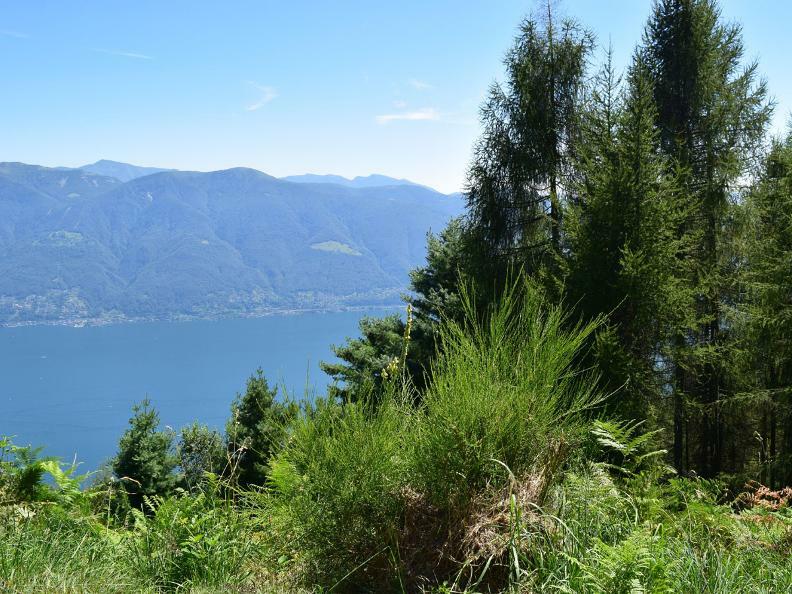 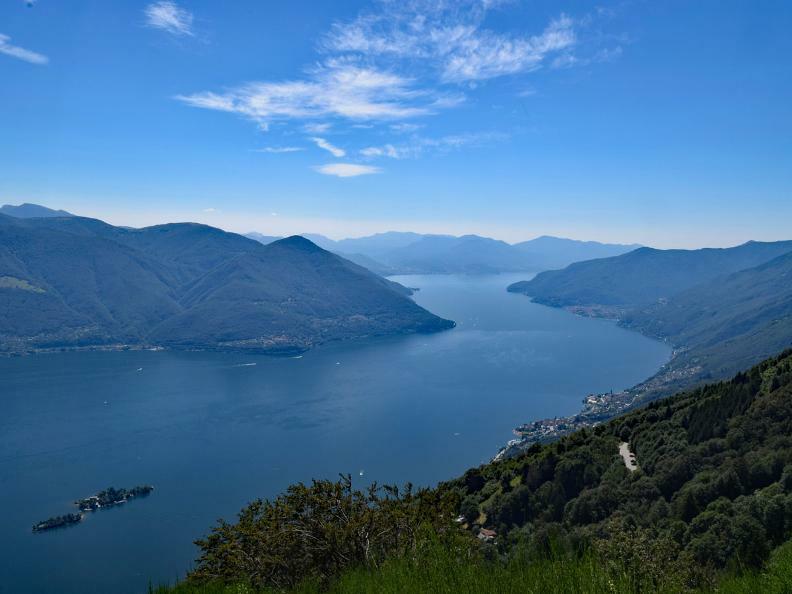 Looking down you view the elongated Lake Maggiore stretching like a fjord to the broad Magadino Plain, while looking north views couldn't be more contrasting, with deep valleys and rugged canyons shaping the picturesque Centovalli landscape. 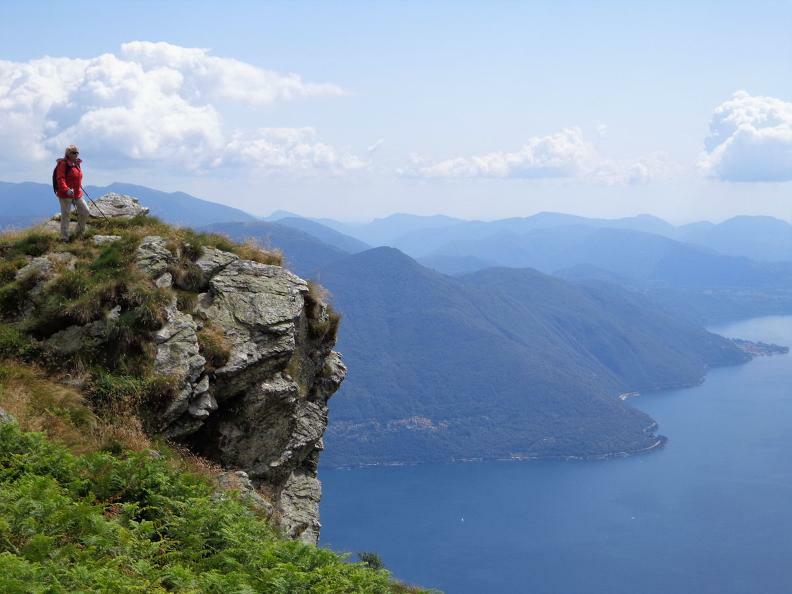 A scenic ridge path now leads the way to the Alpe di Naccio and Corona dei Pinci on a pleasant descent - and it's from here that you make your way to Porto Ronco via Porera and Non following plenty of bends. 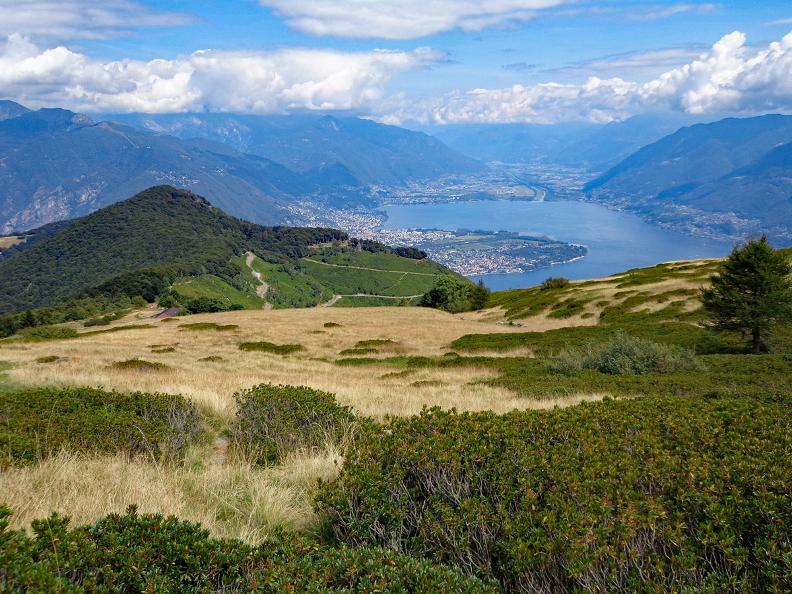 Medium difficulty hike requesting a good physical condition.